I’m pretty sure Athens is high on most people’s bucket lists. 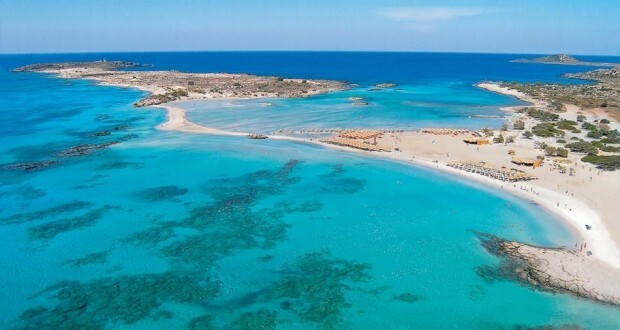 Its ancient buildings, mighty Acropolis and proximity to some stunning coastline makes it easy to see why too. Just a few hours flight from most of Europe, it’s a destination I’ve been to a couple of times before and always loved. This time I had the chance to spend a little longer, live a local greek lifestyle and check out the sights once more. 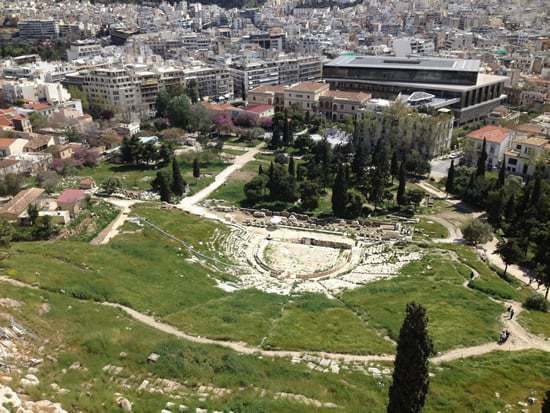 Spring is a great time of year to visit Athens. The mild temperatures are perfect for sightseeing and the sun is less intense so you wont burn so much. Many of the tourist hotspots are outdoors so the spring climate is definitely more comfortable. Around 18 – 20C is warm enough to enjoy the sights and sip a beer outdoors. I’ve stayed in hotels here before and while there are some nice and very “Greek” hotels here, you really can’t beat staying somewhere much more residential. Thanks to an increase on short-term rental websites its easy to find lots of great local apartments that give you a home rather than just a room. Sign up to AirBnB here and get £25 free credit. I found a place on AirBnB that was situated in fairly quiet part of town, close enough to walk to most of the major sites and not too far from an Underground Metro station too. The owners, Vassilis and Roula were very friendly and not only answered all my questions about their apartment, they also gave us a guide to the area and made it easy for us to find the property. The apartment had everything I needed, a kitchen to cook some evening meals (and save money), a washing machine should I need to clean any clothes, ample space, free wi-fi and even a balcony overlooking the street. You get so much more for your money when you rent an apartment! The best feature is just feeling at home somewhere. You never get that feeling in a hotel, it makes such a difference to the overall experience. 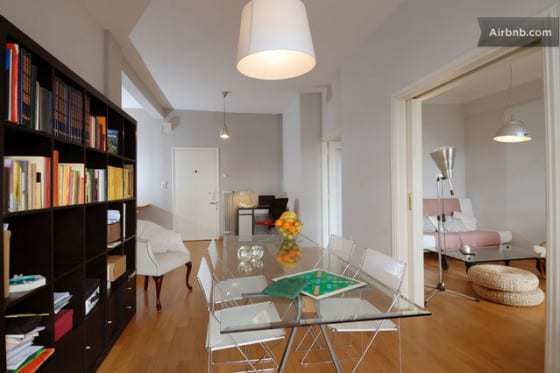 You can check out Vassilis and Roula’s apartment here. 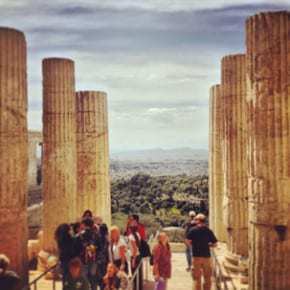 A visit to Athens wouldn’t be complete without a visit to the Acropolis. Its famous Parthenon sits proudly up on the hill. Not only is it an amazing places to walk around, the views from up there are pretty spectacular too. The city sprawl heads off in every direction and you can easily see many other ancient landmarks too. The Acropolis area of town has lots to offer as well. 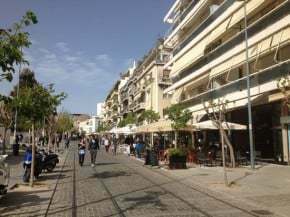 The promenade has a great many restaurants and cafes as well as the very impressive Acropolis museum which opened in 2009. There’s even a metro station here so getting to this part of town is very easy. 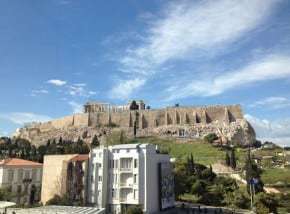 Access to the Acropolis is very cheap and if you’re around for a few days I highly recommend getting a ticket for all of the ancient monuments. At just 12 Euros it gives you access to 6 different sites and is valid for 4 days. So you have no excuse to go check them all out! Another favourite of mine was Hadrian’s Library with a surprising number of tortoises roaming the Roman ruins. It’s amazing to see so many columns standing proudly with archways and even beautiful mosaics on the ground. Well worth checking out. 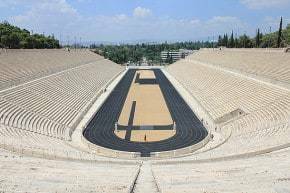 Another must is the ancient Panathinaiko stadium, better known to you and me as the Olympic Stadium. The ancient olympics were quite different to today’s modern olympics but the stadium is none-the-less awe-inspiring. It was built around 566BC and is still in use today making it the world’s oldest sports stadium. Built entirely of white marble it looks amazing against the backdrop of blue sky and bright sunshine. You can walk through the National Gardens of Athens to get to it which is a very pleasant walk. The gardens contain all sorts of plant life and wild life as well as more ancient ruins, it’s also a welcome break from the noise of the city streets too. Besides the gorgeous apartment to feel at home in, getting involved in some local lifestyle is easily achieved when you stay in a residential area of town. Athens is very adapt at the Cafe Culture, with no end to the cafes with outdoor seating areas. There were at least 6 within a 3 minute walk from the apartment and all have that great european atmosphere that just draws you in. Sitting out in the sun, listening to the chatter of locals and sipping a coffee (or Mythos beer!). It’s a great way to meet local people, most of which are happy to talk to you and speak good English too. Our apartment was perfectly situated for a very local event. 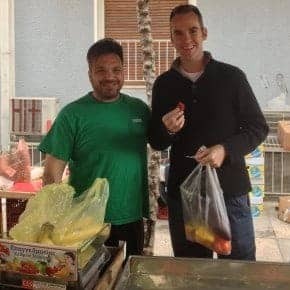 Below our balcony, every friday there is a fresh fruit and vegetable market that starts pretty early and runs until early afternoon. I woke to the sound of many people talking and occasional shouts from the vendors, touting their wares. It was great to step out on to our balcony and watch while we had breakfast. As we were cooking in that evening it was a great opportunity to get involved and purchase some very local food. A quick walk and we were in with the local crowds, inspecting all the fresh vegetables and chatting with the stall owners. They were all so friendly and curious to know where we were from. One even invited me round for a photo and a handshake. There were some very impressive stalls, some filled with buckets of many varieties of Olives, others with the juiciest Strawberries I’ve ever tasted, even fresh fish was on sale. Being in such a residential area, we were away from the tourist crowds and enjoying a slice of real Athens life. 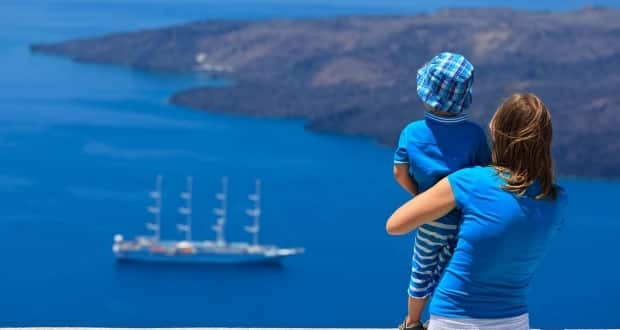 Having sampled a more relaxed and local side to Athens I can definitely say I’m totally converted by short-term rentals. There is a trend away from the traditional hotels and often travel bloggers talk about getting an “authentic” experience from a destination. For my money it doesn’t get much more authentic than renting a real home for a week, in a residential rather than tourist part of town and getting involved in local events. A big thank you Vassilis and Roula and their wonderfully homely apartment. Definitely a place I’d stay again if we ever visit Athens.